SENATOR Leila de Lima is a marvel. Despite her being confined in a detention cell for charges involving drug-related issues she gets an enviable media mileage which other legislators can only salivate for. Not even ex-Pres. Gloria Macapagal Arroyo, who was illegally detained, had the same luxury. She was held incommunicado on the heels of then Justice Sec. De Lima’s order to bar her departure to seek medical treatment on the flimsy election fraud conjured by devious characters of the Aquino administration. Not contented with that, since GMA was able to file a bail bond, then DOJ Sec. 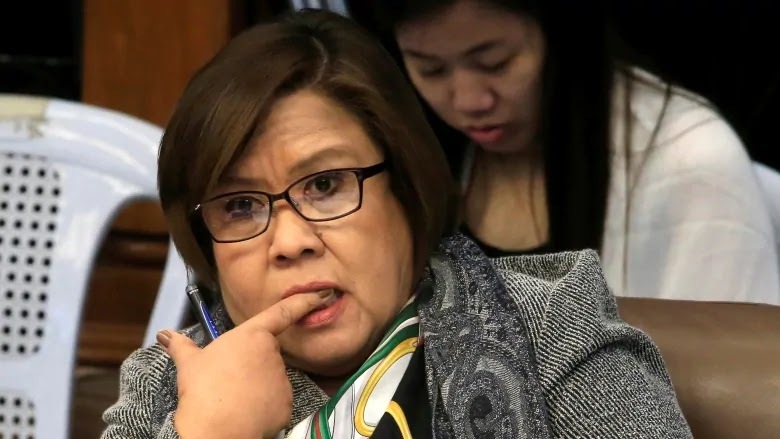 De Lima charged her with plunder, a non-bailable offense, making sure she stays in detention for her role in the alleged misuse of Philippine Charity Sweepstakes fund. Both cases were dismissed by the Supreme Court. The High Court rebuked the ex-DOJ Secretary for holding the departure of the ailing ex-President as unconstitutional, and the second for lack of basis. In a radical reversal of fortunes and the dictates of karma, Senator de Lima exchanged places with the former President who is now back in the limelight as House Speaker. Her involvement in drug syndicates makes it non bailable too. For a long while she was in the company of her fellow detainee-senators whom she indicted for plunder but alas, karma is quite harsh on her for she seemed to stay longer in confinement than her cellmates. Moreover, she has a retinue of media writers who obviously at the drop of a hat would accord her the space and time at her call. She too is not short of supporters from European parliaments who are made to understand that her detention partakes of political harassment and nothing to do with illegal drugs but just maybe on account of her frailty as a woman. The senator finds it rather incredible that Bong Go could extend so much assistance to those in need without dipping his hands in government coffers. Leila is rattling mad and confused. She forgot, or is plainly ignorant, that Davao City has institutionalized “Lingap Center” during the term of then Mayor Rodrigo Duterte. Lingap extends help to those in need of various assistance and funds and supplies come from friends and supporters of the Mayor. A corollary clinic especially for children afflicted by cancer was also established by the Mayor. The point person designated to make these social outreach programs was Bong Go. The Malasakit Centers, which are sprouting all over the country these days, are personally supervised by Bong. Leila might find this incredible but there are benevolent people who support the project because they trust that their contributions will be used for those in need. Bong is now a private person but he continues with his and the President ‘s personal social responsibility’ projects. As to the billboards and tarpaulins, there is no way Bong can stop those. He had repeatedly issued statements for his supporters to take down those tarps. Some complied but others are simply bullheaded knowing that the other candidates from other political parties of varied ideological persuasions are doing the same. So there you are. But you cannot take it away the sympathies and support that Bong is presently enjoying from the masses. He was and still is the action man of President Duterte when it comes to social action programs. In and now out of Malacanang as SAP, the Chief Executive would still insist Bong to be on his side. Bong is the President’s data base and it has been the sworn commitment of the former to serve him through thick and thin till death do the part. That Bong had been dubbed a photo-bomber is undeniable but that would also suggest he holds the singular opportunity to have a personal and intimate tutelage on how government, local or national, is run and how public service is defined and demonstrated. He is putting that into action even now that he is out as SAP. There is lesson to be learned here by detainee de Lima. As the saying goes, “do not throw stones at your neighbors if you are living in a house of glass”. There is much to learn too from the brand of public service that Bong is doing. It will take you away from your predilections that had brought you to where you are today.